If A’s owners Lew Wolff and John Fisher began working sincerely with Oakland and Alameda County, we’d be the first to praise them. After about a decade, sadly, we’re still waiting for Wolff and Fisher to do so. Four months ago, as Wolff pressured city and county officials to approve his Coliseum lease extension, he assured them that he was ready to “re-look at Oakland” stadium options. But as soon as Wolff got his lease deal approved, he stopped “re-looking.” In fact, Wolff last week agreed to a seven-year land-option extension with San Jose’s officials – not Oakland’s. The South Bay land deal continues Wolff’s option to buy downtown San Jose properties for what he hopes is a new A’s stadium site. “The A’s are still interested in San Jose, and we’re still interested in pursuing it,” San Jose City Attorney Rick Doyle said. So much for “re-looking at Oakland.” After the San Jose option story went online Thursday, the anger that many A’s fans expressed toward Wolff surprised even us. But we shouldn’t be surprised. For A’s fans, the news was yet more proof that the Wolff era always be remembered as a Groundhog’s Day-like experience. We wake up expecting a new day; instead, Wolff puts us through the same old tired doomed plan. As Wolff pursues the San Jose pipe dream, he keeps A’s fans stuck in his self-made limbo, in which fans suffer, while Wolff and other billionaire A’s owners get richer from collecting annual $30 million welfare checks. That’s not a typo. A’s owners — recently ranked as baseball’s 4th-richest ownership group — play in a Top 5-size market yet receive $30 million each year from fellow MLB owners. In fact, Forbes magazine says that A’s owners average about $20 million profit annually. Wolff spent the summer hammering the lease extension in the press, intruding on what at the time looked like a dream A’s season. He said Oakland leaders should approve the lease deal because it might translate into a new A’s stadium in Oakland. Some fans, weary of the 19-year ballpark search saga, allowed themselves a little hope and supported the deal. 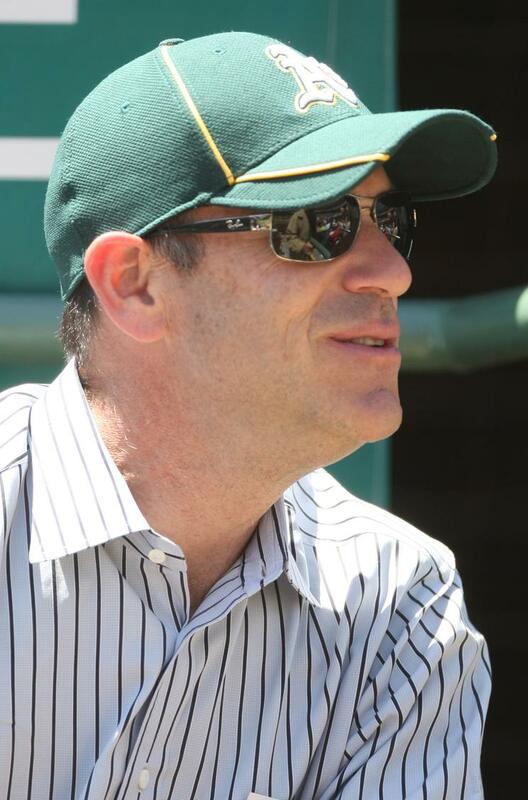 Instead, the San Jose land option last week, along with Doyle’s quote, made it clear again that Wolff wants to keep partying like it’s 1998 – the first year he publicly pined to move the A’s to San Jose, where Wolff owns hotels and other land investments. So, where does that all leave us now? It’s been more than three months since the Coliseum JPA agreed to the lease deal, including Wolff’s & Fisher’s demands to keep the $5 million the owners owed taxpayers. The deal also included a 4-year Coliseum extension – falsely billed as a “10-year lease” — with several options that might keep the A’s at the stadium until 2024. Unfortunately, ever since Wolff got his $5 million and his lease extension, he has shown zero cylinders, let alone eight. In fact, Wolff has given radio silence to Oakland for months now, while offering another warm embrace to San Jose last week. Maybe Oakland fans shouldn’t be surprised at Wolff’s bait-and-switch. After all, a day after he wrote Gardner that letter, during the height of his “woo-the-East-Bay-politicians” blitz, the Mercury News reported that Wolff met with San Jose Mayor Chuck Reed at Wolff’s Fairmont hotel. Looking back, the irony of that complaint is nearly as rich as Wolff and Fisher.